As I type this, I am currently on the train to London. A rather last minute trip booked amidst a mini meltdown on my own part. You see, I am due to be in Barcelona later this week and although I had applied for my Canadian passport (which also expires this week), about a month ago, I am still waiting for the Canadian High Commission in London to hand it over. I wouldn't be on a train or indeed had a meltdown, if I could have actually spoken to someone at the Canadian High Commission. Apparently, however, no one actually answers the phone EVER - even if you call their emergency number. No, instead, they would rather you leave a voicemail and "someone will get back to you". Three voicemails and two emails later, the lazy fuckers email me back on FRIDAY at 4.30pm (bear in mind I had emailed them on Wednesday), to tell me that they're not sure where my passport is and cannot guarantee that it will arrive in time and could I change my travel plans? The rage, dear readers, the rage! I was then informed that the Canadian High Commission could issue an emergency temporary passport, but only if I came in person, and even then, sometimes they can issue them on the same day and sometimes it can take up to two days. So, here I am, a £95 ticket later, rocking back and forth on the Virgin train to London, in a blind rage that is only emphasised by four years of living in Glasgow. At least I am in first class, I suppose. The upside is that I get to stay with my pal, Mike, and also meet up with our mutual friend, Mark, and his gorgeous daughter, Ava. 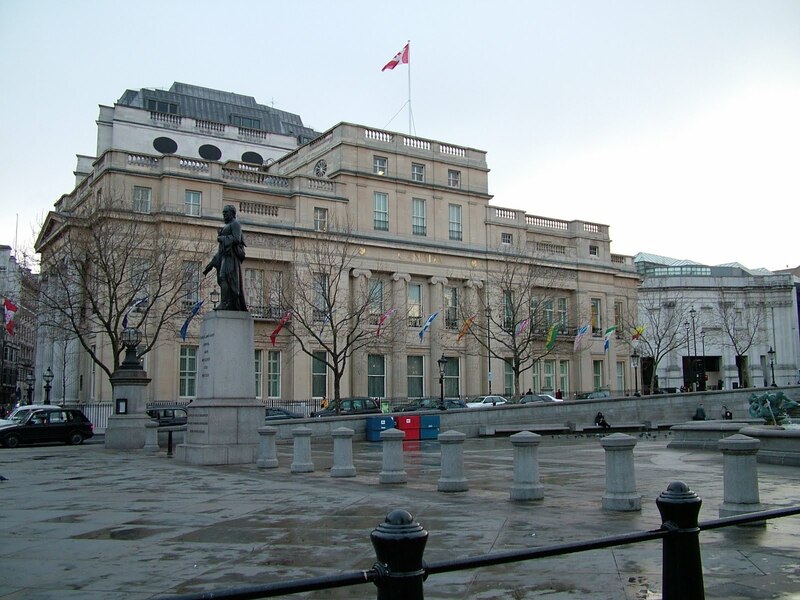 Come Monday morning, I will be stomping down to Trafalgar Square to Canada House (pictured above) and beg them to either trace down my bloody passport or issue me a temporary one. Normally I am also pleased to meet fellow Canadians while abroad but after this whole shambolic episode with the Canadian High Commission, I have got to admit that they are the most unhelpful bunch of Canadians I have encountered. Evidently I'm not the only person to comment as much. We have now crossed the bored into England; hope I don't turn into a pumpkin. Poor one! How frustrating. I am always paranoid about having to send my passport away. I have my new passport but my permanent residence stamp is in my old one, so when I travel I have to take both. But I never seem to have enough time to send them away so that if there is a delay I won't panic. What an absolute pain. Hope all goes well. Woe! Bureaucracy the world 'round is skimping and trying to save money, though, and this is the result: very poor service. Hope you get it sorted!